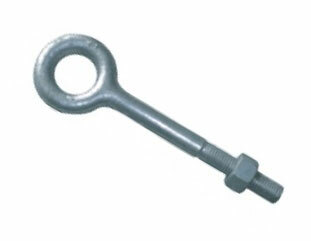 PRODUCT: #NPP126 Forged Steel Plain Eye Bolt with Nut. Sizea; A = 1/2 inch Shank Diameter, B = 6 inch Shank Length, D = 1 inch I.D., Capacity: 2100 Lb. Price/50.